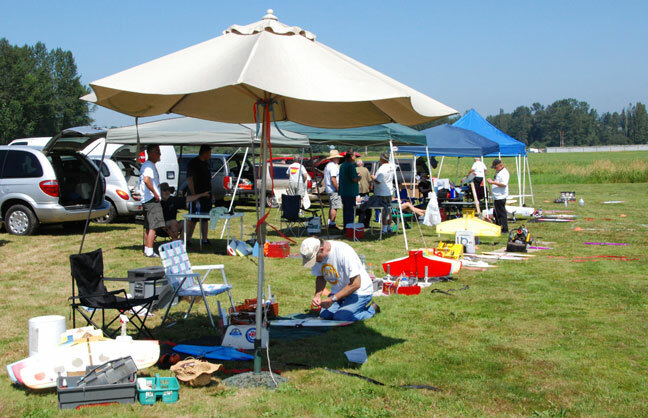 Seven-round Fast Combat tournament, Aug. 13-14, Snohomish, Wash. 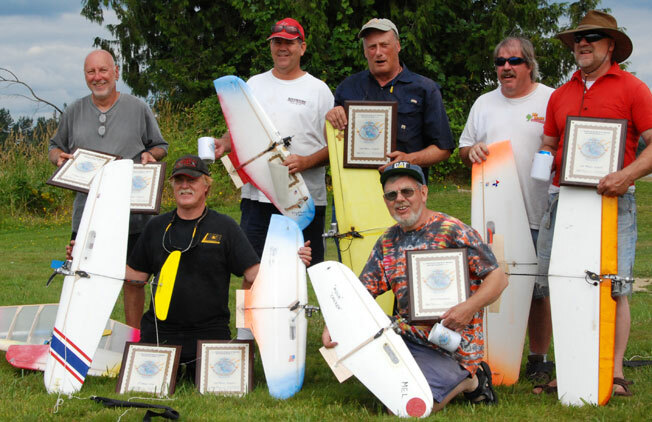 The placing pilots in the 2011 Bladder Grabber and the 1/2-A Grabber (from left): Buzz Wilson, Greg Hill, Don Jensen, Don McKay, Mel Lyne (1/2-A Grabber winner), Jeff Dawson (Bladder Grabber winner) and Ken Burdick. Flying Lines photo. 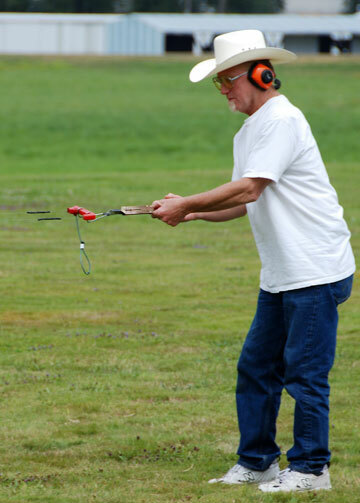 The top-gun Combat contest in the United States, the Bladder Grabber, created all the noise and ferocious excitement expected of the big-block style of model airplane Combat, despite a below-usual entry of 12 pilots. 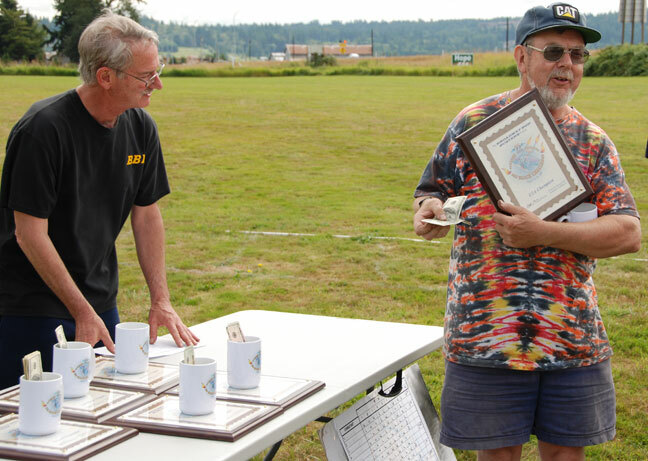 The dogfighting was nevertheless intense, and at the end, airplane maker Jeff Dawson of San Antonio, Texas, claimed the $1,000 cash prize for being the world's best Fast Combat flier on this weekend. Dawson was undefeated, going to 7-0 in a finale against Don McKay of Redmond, Wash., who also went into the championship match with a 6-0 record. 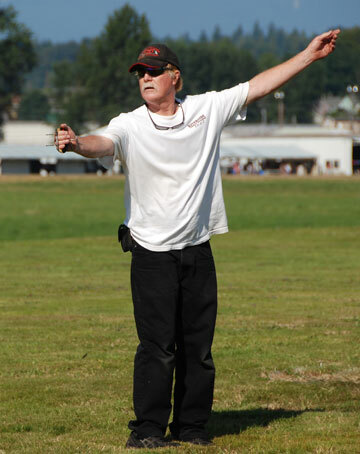 Mel Lyne of Garibaldi Highlands, B.C., repeated as the 1/2-A Grabber champion, winning the Friday preliminary event, which had 14 fliers. 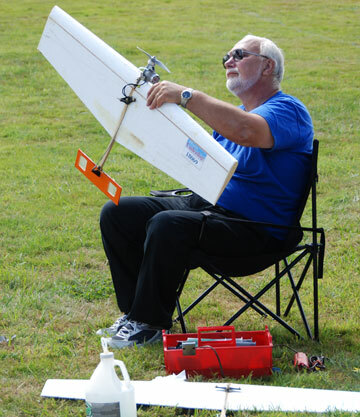 Weather was perfect throughout the weekend, with partly cloudy/partly sunny skies and very little wind. The contest organizers provided food for the contest cooked up by Ken Burdick. 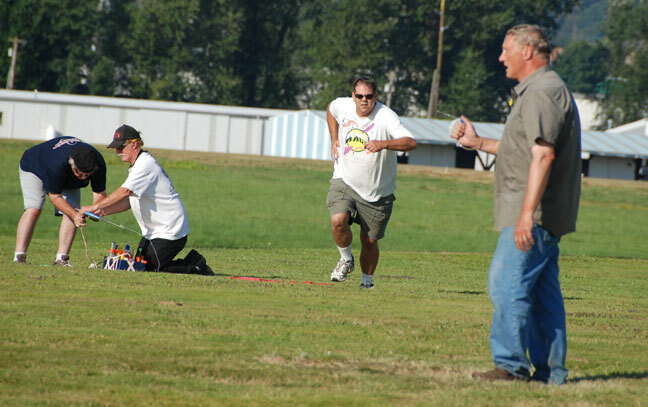 Contest Director Jeff Rein ran a smooth, well-organized meet, assisted by pull tester/judge Gary Harris, the Broadway Bod Busters and several volunteers from among the contestants who helped with officiating. It was the second year of the seven-round format. After six rounds, CD Rein looked at the records and pulled McKay and Dawson out of the seventh round. Since they were undefeated, their match would be the last of the day, for the championship. 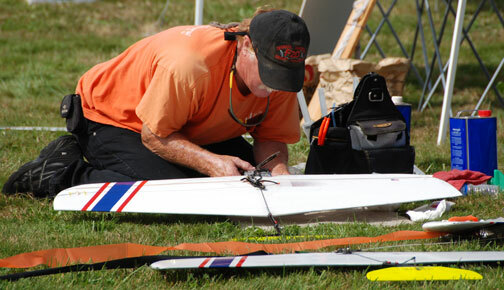 After everyone else had flown the seventh round, Jeff sorted out a series of flyoffs that settled third through sixth places. 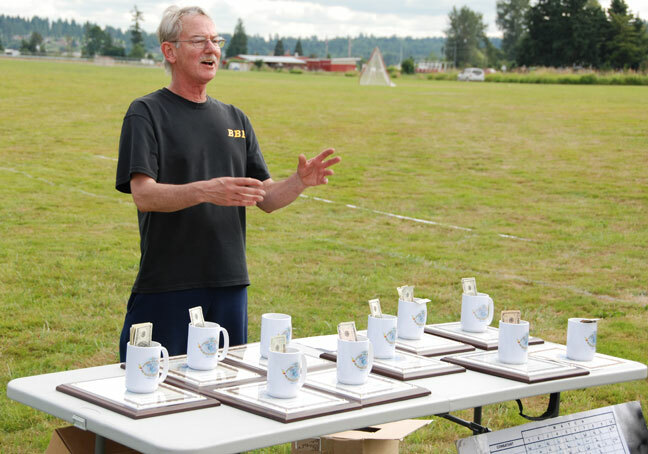 All the top fliers received cash prizes along with plaques and commemorative mugs. Pit area for Bladder Grabber before beginning of matches on Saturday. Flying Lines photo. 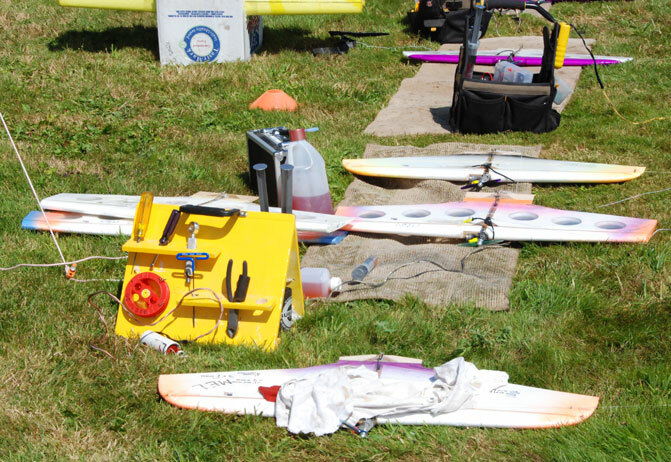 Fliers get ready for Combat. 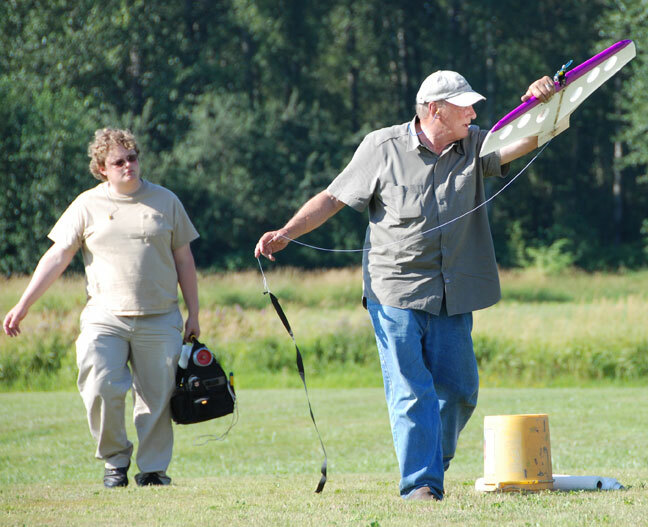 At left, 2010 winner Gene Pape prepares a Millennium Underdog. 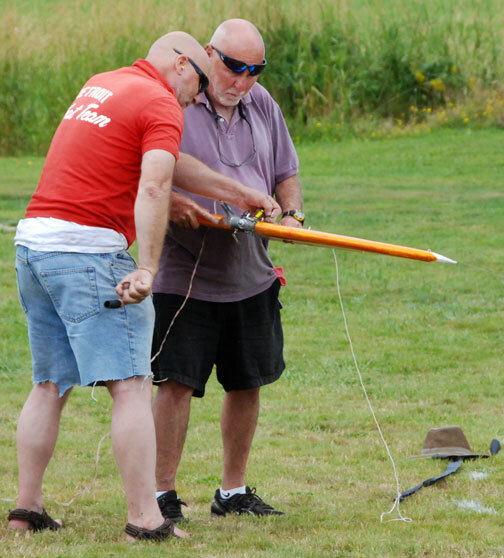 At right, this year's winner, Jeff Dawson, gets ready to install a prop. Flying Lines photos. 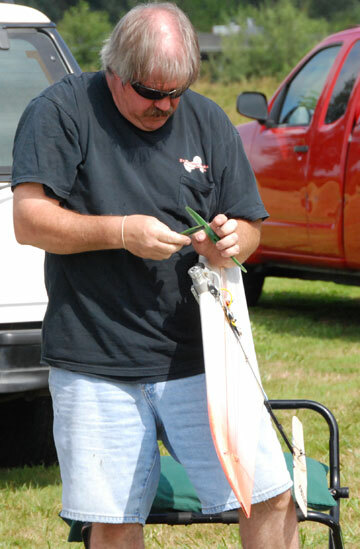 Greg Hill prepares a Dawson-built plane for action. Hill flew his way to third place after a 1-3 start on Saturday. Flying Lines photo. 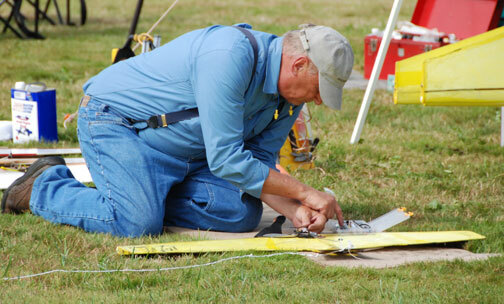 Don McKay prepares an R&B Ripoff plane for action. McKay was undefeated until the final match with Jeff Dawson. Flying Lines photo. 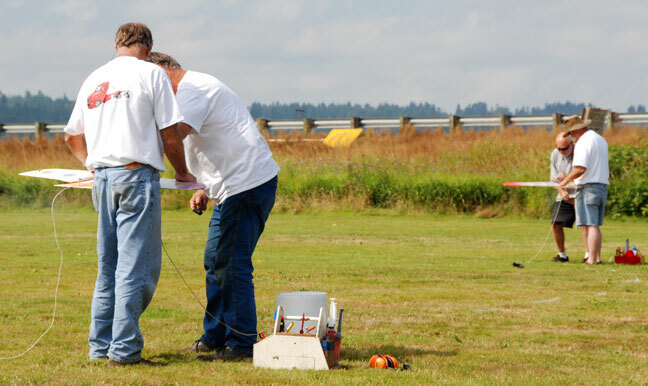 Due to manpower shortage, the Bladder Grabber for the first time was run on a "pilots start your own engines" format, which is a common practice in Northwest contests. 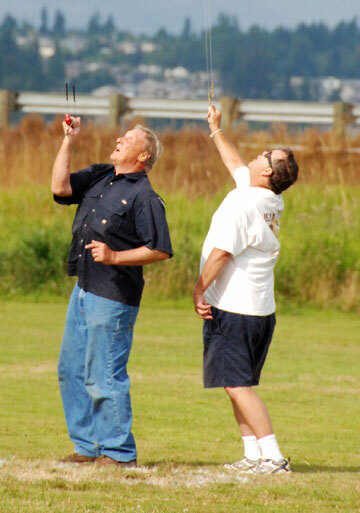 Above, Bob Smith (near) and Buzz Wilson start their engines on the "go" horn; Jim Green holding for Bob and Ken Burdick holding for Buzz. Then comes a race to the handles. Flying Lines photo. 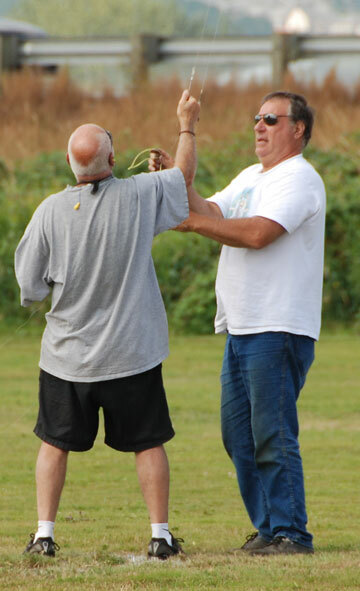 Bob Smith (white shirt) and Buzz Wilson do battle. Match ended in a line tangle; in right photo, Bob is unwrapping the snarl. Flying Lines photos. 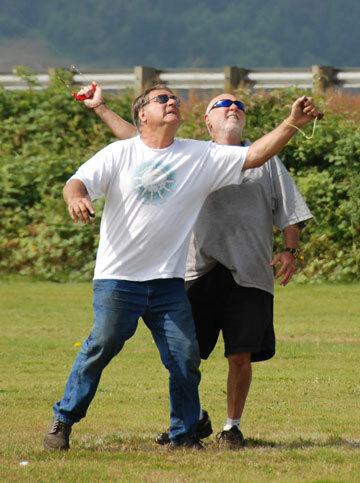 More match action: In left photo, Don McKay (left) and Don Jensen battle. In right photo it's Ken Burdick (left) vs. Greg Hill.. Flying Lines photos. A very unusual kill: Mel Lyne has Gene Pape's streamer knot in the trailing edge of his elevator. 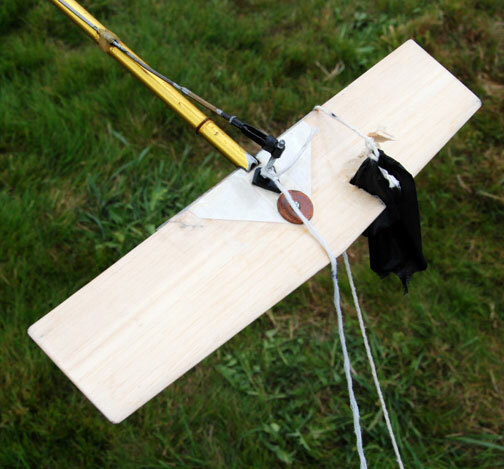 Somehow the string missed the wing and prop completely, wrapped around the elevator and snagged in the trailing edge for a kill. Flying Lines photo. Two of Greg Hill's planes, with distinctive markings, handy to tell apart the planes because many were built by Jeff Dawson, as were these. Nelson power was standard; Mel Lyne used Fora. Flying Lines photo. 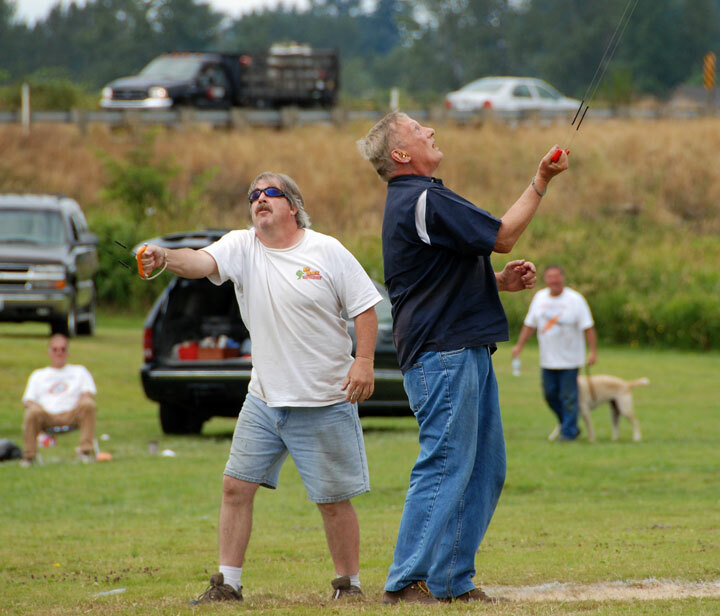 Bob Smith (left) and Jim Green teamed up for the weekend. Flying Lines photo. 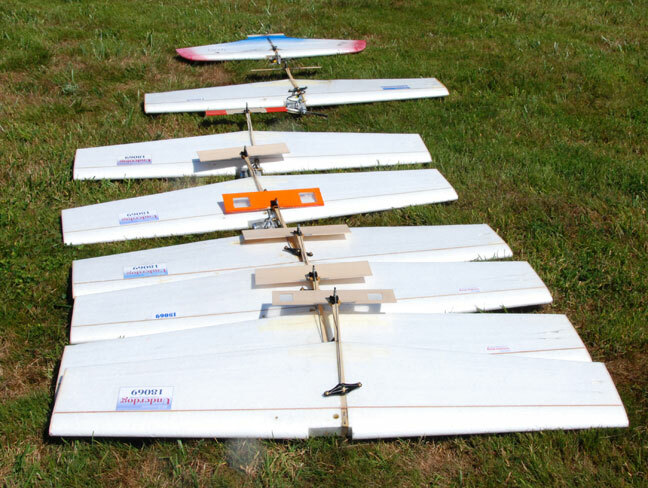 Beaver State Combat Team's fleet of Fast Combat planes (plus one just visiting). Flying Lines photo. More sideline action: Greg Hill (left) and Jeff Dawson at work. Flying Lines photo. 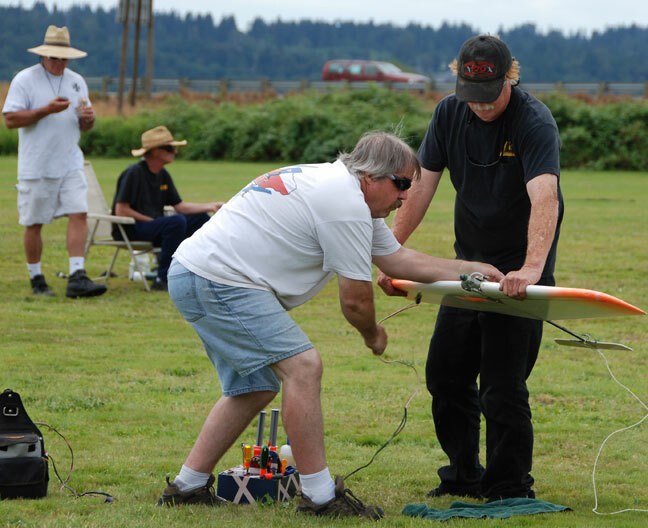 Left photo: Ken Burdick starts engine while Buzz Wilson holds. Right photo: Gary Harris was an official and pull-tester on Saturday and Sunday. Flying Lines photos. 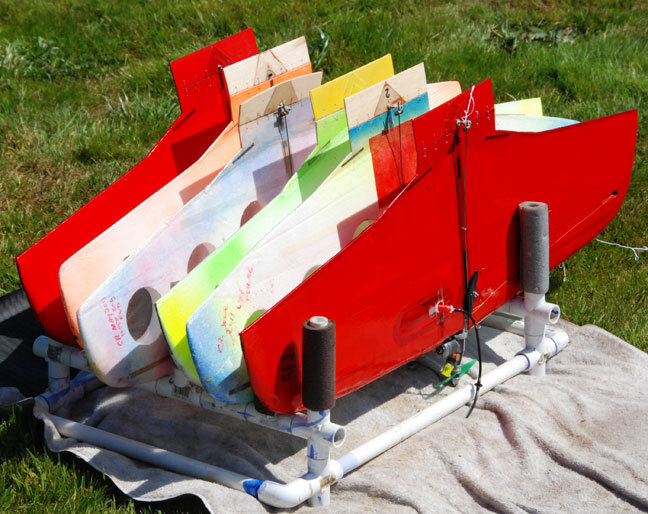 R&B Ripoff airplane used by second-place Don McKay; Rein/Burdick design. Flying Lines photo. 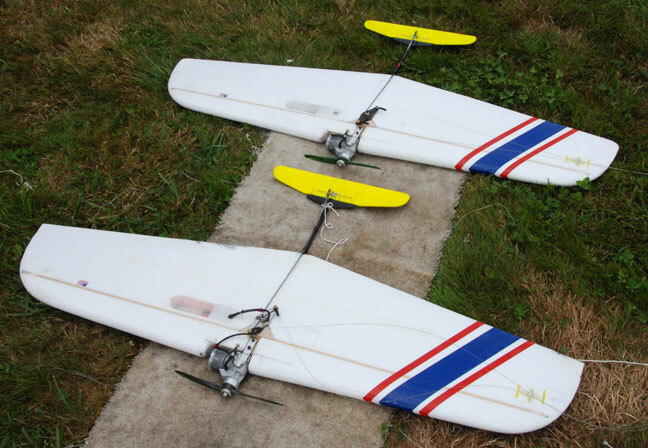 Gene Pape's fleet of Millennium Underdogs, with a Dawson 1/2-A Sonic Chicken at the end of the line. Flying Lines photo. 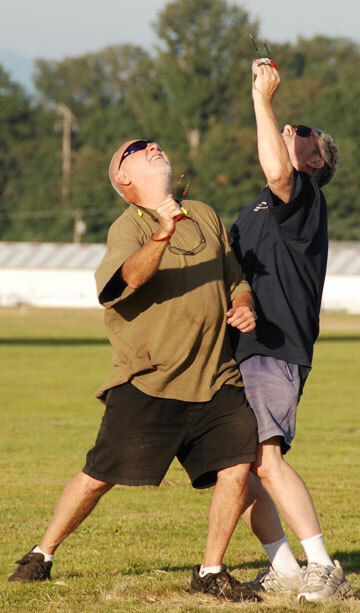 Start of the championship match: Jeff Dawson fires up the Nelson as Greg Hill holds. Flying Lines photo. Championship match action between Jeff Dawson (left) and Don McKay; they're still jockeying and not quite engaged yet in this photo. Flying Lines photo. Winning the Bladder Grabber puts a pilot among the world's Combat elite; it's an emotional moment. 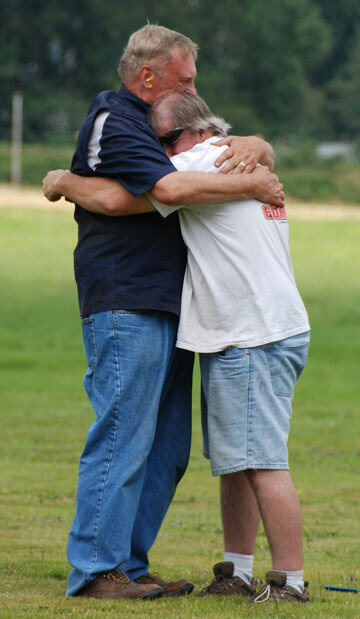 Don McKay (left) and Jeff Dawson let down after the championship match. Flying Lines photo. 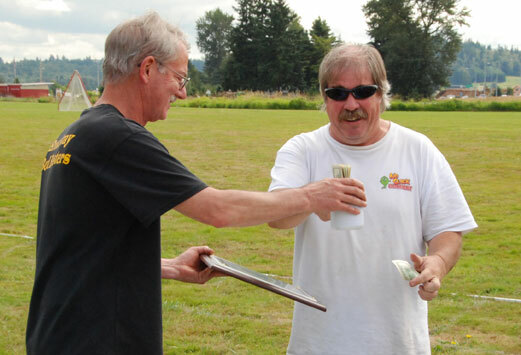 Contest Director Jeff Rein hands winner Jeff Dawson his plaque and a mug full of money. Flying Lines photo. Fast Combat results board. Flying Lines photo. 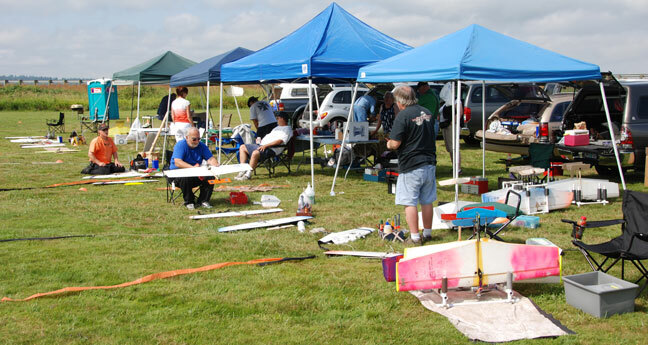 Pit area before the start of 1/2-A Combat on Friday. Flying Lines photo. A rack of Dawson-built Sonic Chickens. Since most of the planes used were Sonic Chickens, the contest theme was "My Chicken is Better Than Yours." Flying Lines photo. More Sonic Chickens: They come in two versions. Flying Lines photo. 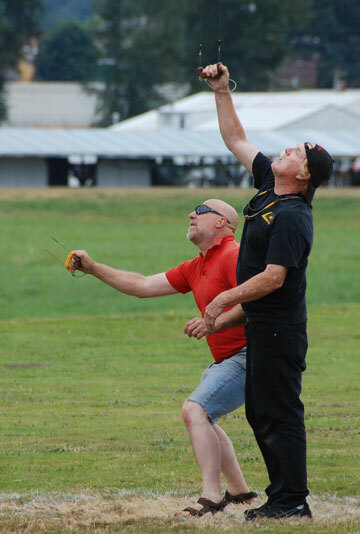 Left photo: Greg Hill signals for launch. Right photo: Hill and en Burdick in 1/2-A battle. Flying Lines photos. 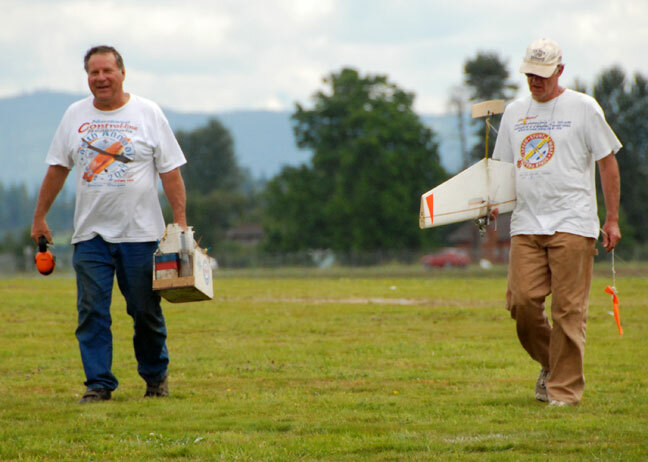 The McKay Team: Tristan on left and Don on right. Flying Lines photo. Some fast action in High-Performance 1/2-A Combat. 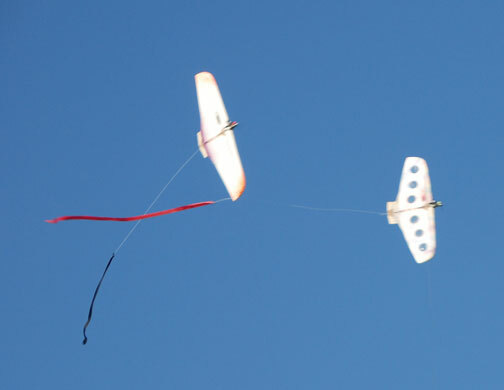 Planes are flown on 42-foot lines, using mostly Cyclon .051 power. Flying Lines photos. Head-on pass! Flying Lines photo. 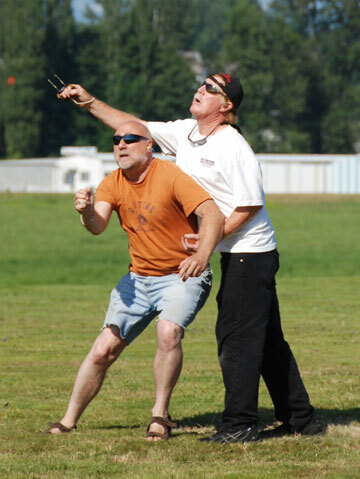 Don McKay's already flying as Don Jensen heads for his handle, as Jeff Dawson removes battery clip and Greg Hill holds. 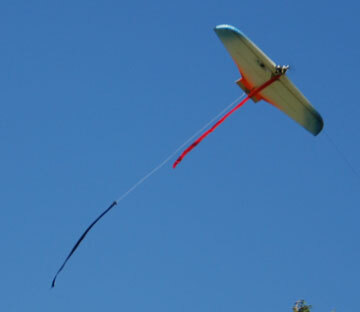 Flying Line photo. Buzz Wilson (left) vs. Mel Lyne, who went on to win the 1/2-A Grabber. 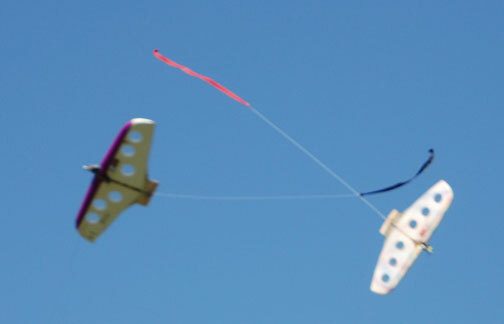 Flying Line photo. This is what it's all about: Get the streamer! Flying Lines photo. 1/2-A Grabber match board. Flying Lines photo. Mel Lyne collected $500 for the 1/2-A win. Contest Director Jeff Rein conducts the award ceremony. Every placer got a plaque and a mug with some cash in it. Contest also provided food and T-shirts for all entrants. Flying Lines photo.